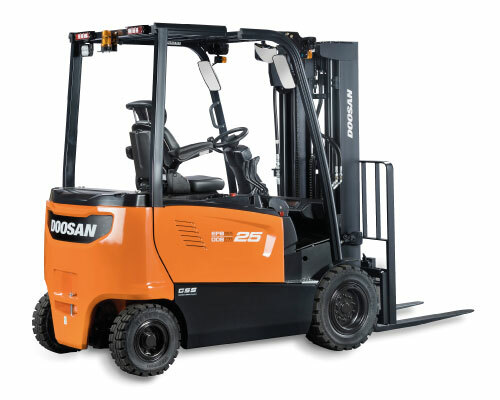 Budget Forktrucks are delighted to announce they have been selected to become a dealer for the highly sought after materials handling franchise by Doosan Industrial Vehicles Ltd. From March 2014 we will be providing the full award-winning range of tough and reliable Doosan forklift trucks and warehouse lifting equipment. This will allow Budget Forktrucks to offer the Doosan Counter Balance diesel engine models with the latest clean burn technology making it the European Unions first 'Euro compliant truck', great for the environment and better still it reduces end user cost by minimising maintenance and subsequent operator downtime. Plus the added bonus for operators is the 33% improved fuel efficiency and 10% drop in noise levels. 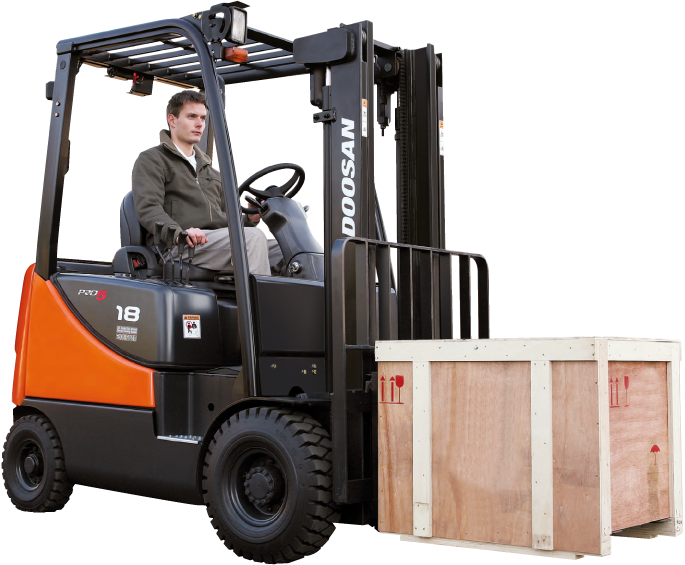 We can provide the complete Doosan forklift hire package from 1 day to 5 year long term hire or lease purchase to suit your requirements. This range of counter balance forklifts from 1500kgs to 3500 kgs is available with a wide range of mast configurations up to 7000mm lift height with integeral sideshifts. All Doosan Industrial vehicles has fuel efficent engines, oil cooled disc brakes. This series ranges from 1400kgs to 1600kgs available with a wide range of mast configurations up to 10,250mm lift height. AC controlled with 180 or 360 degree steering. These trucks range from 2200kgs to 3500kgs available with a wide range of mast configurations. AC controlled & Oil cooled disc brakes. These trucks range from 1500kgs to 2000kgs available with a wide range of mast configurations up to 7000mm lift height. AC controlled & Oil cooled disc brakes. Doosan Pedestrian & Ride on pallet trucks from 1800kgs to 5000kgs available with a wide range of configurations , AC controlled. Doosan is a South Korean conglomerate handling everything from IT solutions and power generation to duty free shopping and heavy machinery. 'Doo' means a small grain while 'san' translates as 'mountain': their ethos is that 'little grains can build a mountain'. When fulfilling a construction project on your building site, you need the best machinery to carry out the job. Doosan Corporation is just one of Doosan's subsidiary companies, and Doosan Corporation Industrial Vehicle handles the manufacture and distribution of global logistics equipment. Their engine-powered and electronic forklifts are some of the most highly renowned and trusted in the industry. 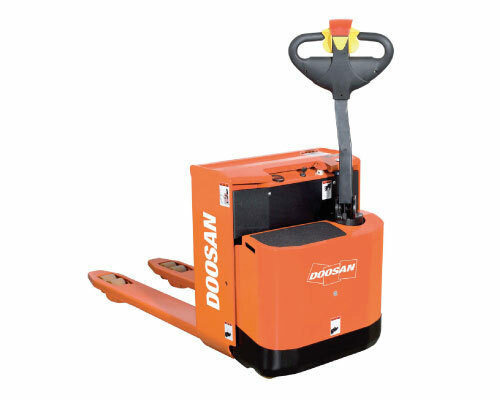 You can buy Doosan forklifts and other warehouse lifting equipment here at Budget Forktrucks. We also offer a range of rental plans so you're sure to get a high-performance truck that suits your needs and budget. 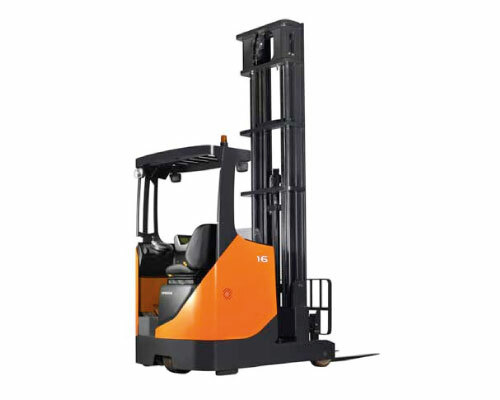 Since designing Korea's first forklift in 1968, Doosan has not been knocked from the industry's top spot. Their forklifts have won two of the most prestigious design awards: the Red Dot Design Award and the iF Design Award. The company blends futuristic, technological designs with high performance and durability. These long-lasting forklifts are reliable and advanced, which is why they have been used on construction projects around the world for half a century. Doosan's global network of dealers has cultivated the widespread success of the brand: high-profile clients including Eddie Stobart and Wallenius Lines have handpicked Doosan to supply their forklifts. Doosan forklifts are some of the most well-trusted in the industry for a number of reasons. Their machines are fuel efficient and environmentally friendly, which means they operate at a much lower cost, saving your business money. Many renowned clients have praised their ease of operation, with inbuilt features such as auto-tilt levelling and other technology making every job as simple and accurate as possible. Each of their trucks and forklifts are manufactured to rigorous quality control standards. The company aims to benefit the world by delivering outstanding quality and excellent service to every one of its customers and clients; with Doosan equipment, you are guaranteed to achieve the best possible job. At Budget Forktrucks Ltd, we sell and hire out the entire award-winning range of Doosan forklift equipment. 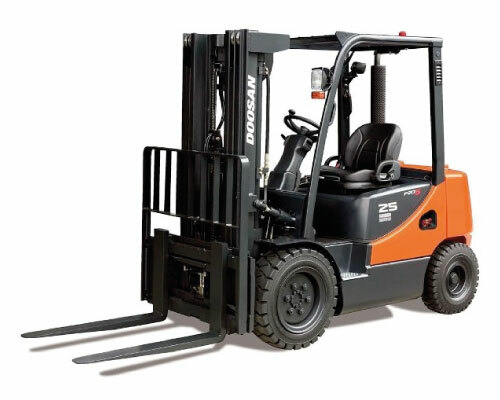 Call us today for more information about our Doosan forklifts for sale and hire. 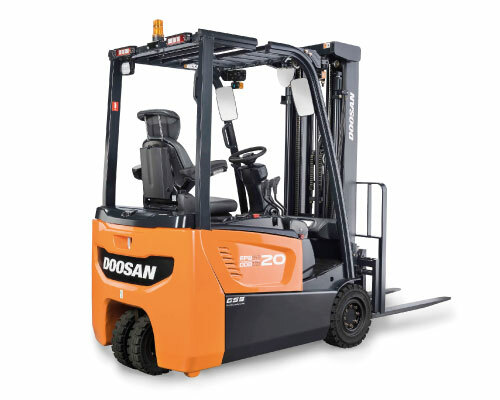 Why buy Doosan forklifts from Budget? At Budget Forktrucks, we have learned a lot during 36 years in the business. We understand how to provide the best customer service possible, how to streamline every part of our business to guarantee satisfaction, and how to ensure that the products we stock are the best that we can offer our customers. This last point is very crucial, and is why we are delighted to be able to offer our Doosan forklift range. Among the forward-thinking Doosan products available are the Doosan Counter Balance diesel engine models. These environmentally-friendly engines, boasting revolutionary clean burn technology, deliver a 33% better fuel efficiency compared to past models. This means minimum maintenance, and ultimately fewer expenses for the owner. Products like this are a fine example of how we only stock, and work with, the best, so that we can give our customers the best. This goes for our services as well. All customers buying through Budget Forktrucks will benefit from a range of different services which we have developed over the years to set ourselves apart from our rivals. Our GPS-tracked service trucks roam the whole of South England, offering an incredibly fast and comprehensive service. Simply put, our expert service engineers, all of whom have CFTS and FLTA accreditation, can fix any make of forklift at the site of the breakdown. This ensures that any costs incurred because of machine downtime are minimal. Something else we are very proud of is our commitment to delivering any parts on the day of the request or the next day at the latest. All Doosan products are available to buy; we'll tailor everything to your needs, advise you throughout every step of the process, and support you afterwards with our renowned care service. Get in touch today for more information.